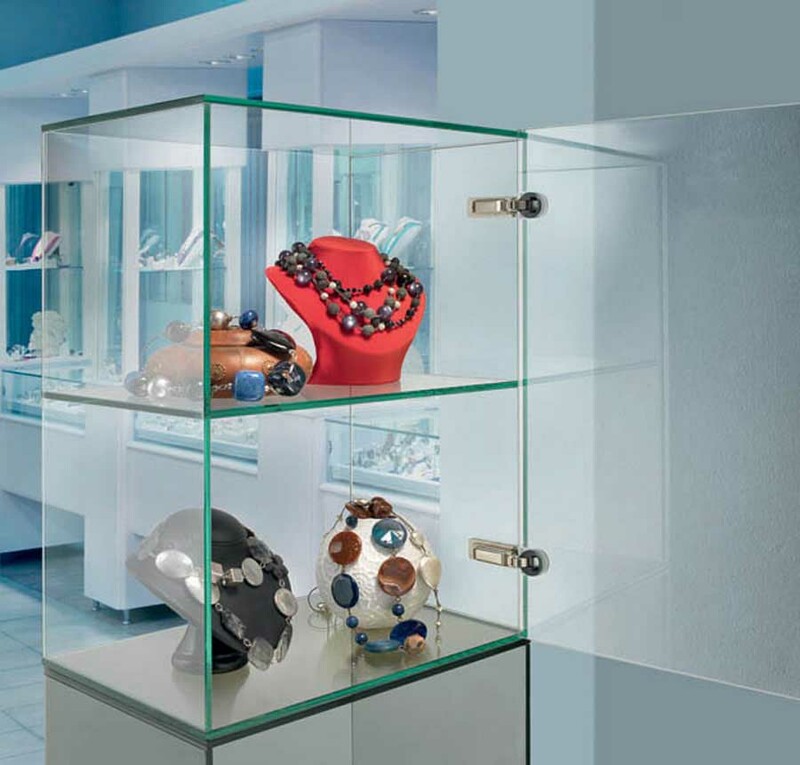 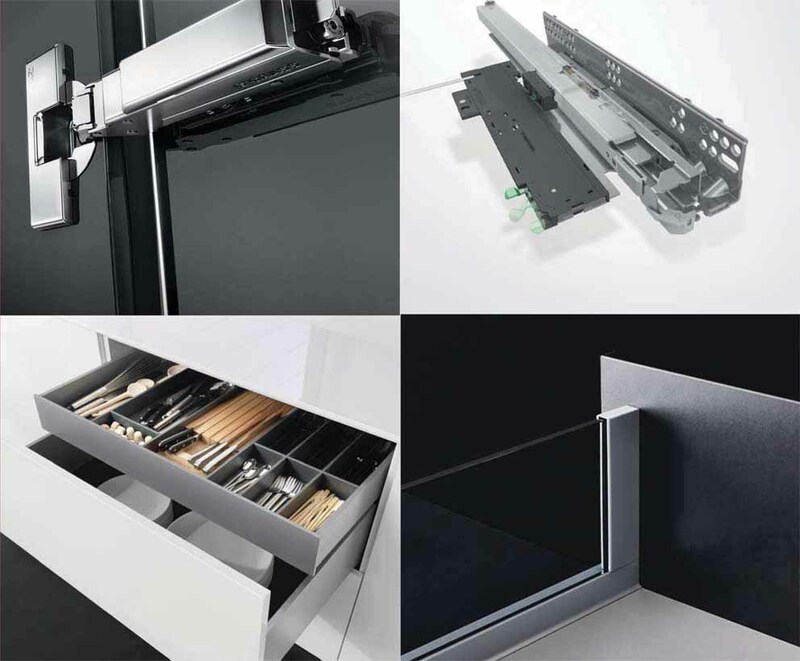 Vetro is the family of hinges, mounting plates and accessories developed to solve all applications of cabinets with glass doors, sides or mirrors. 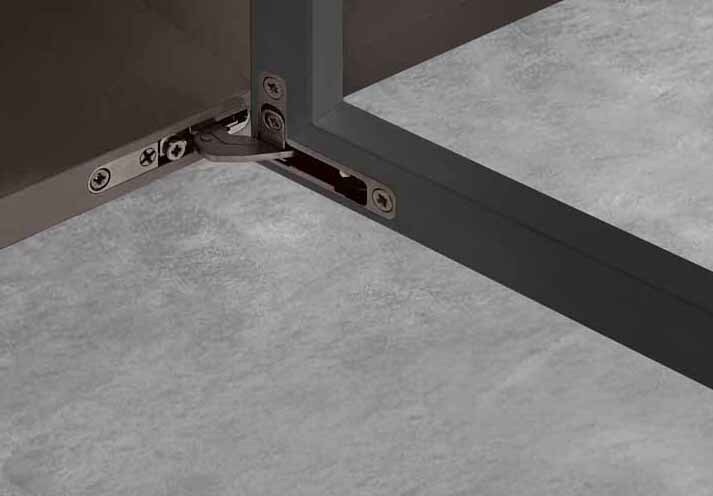 The new mounting plates for fixing to glass sides and mirrors have snap-on assembly and cam adjustment. 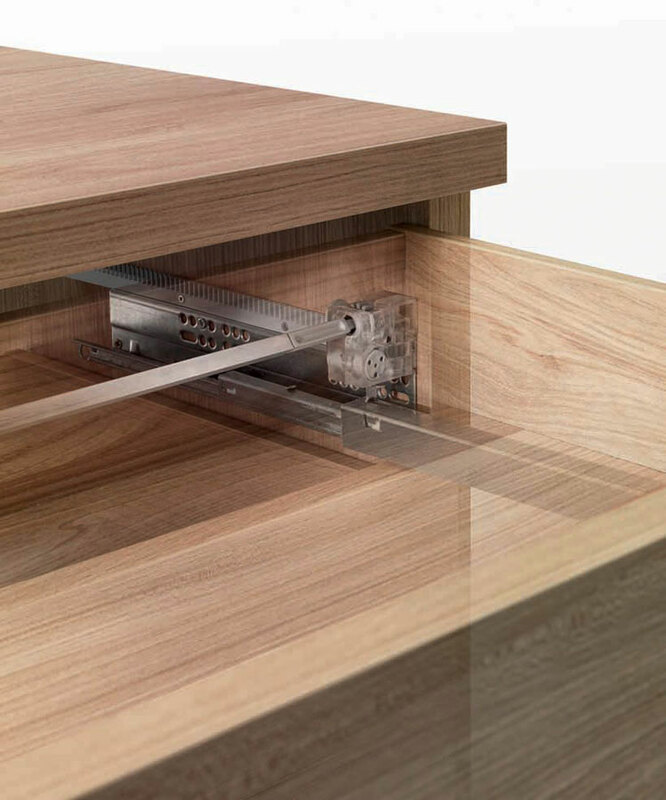 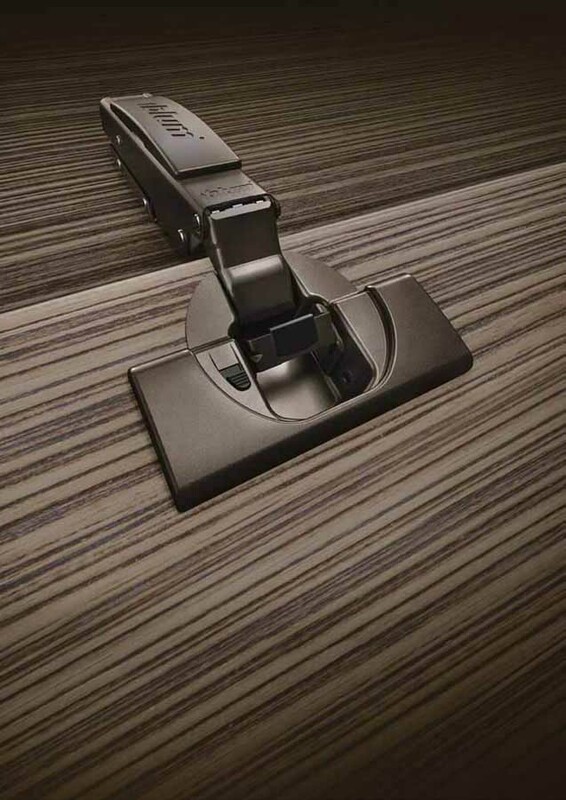 They can be used both with hinges to be surface mounted on glass doors or with 26mm diameter hinges, there is also options for applications with hinges for wood doors for when cabinets come in both materials. 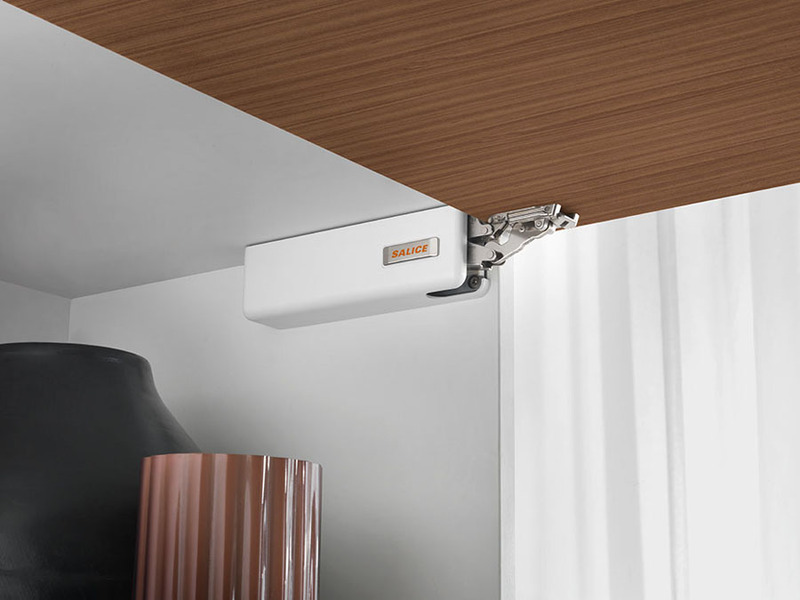 The new mounting plates have several applications: living room and bathroom furniture, shop display cabinets and showcases. 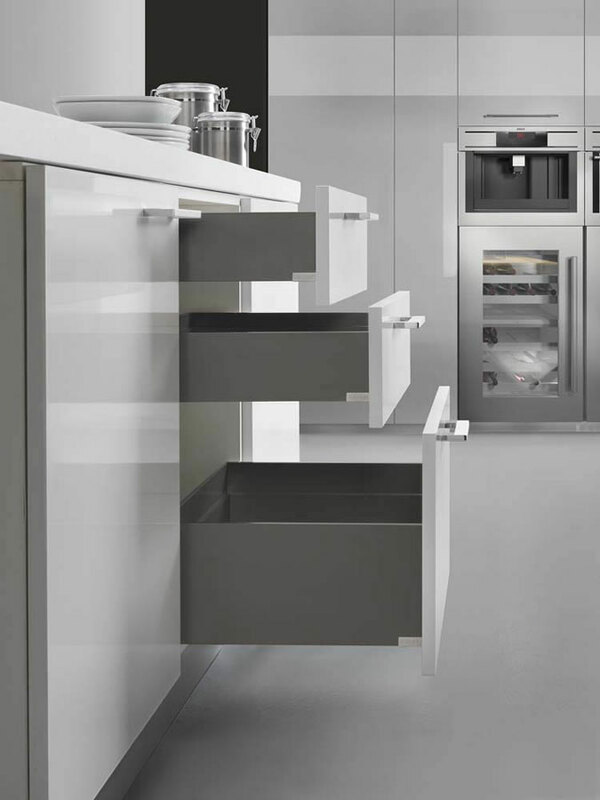 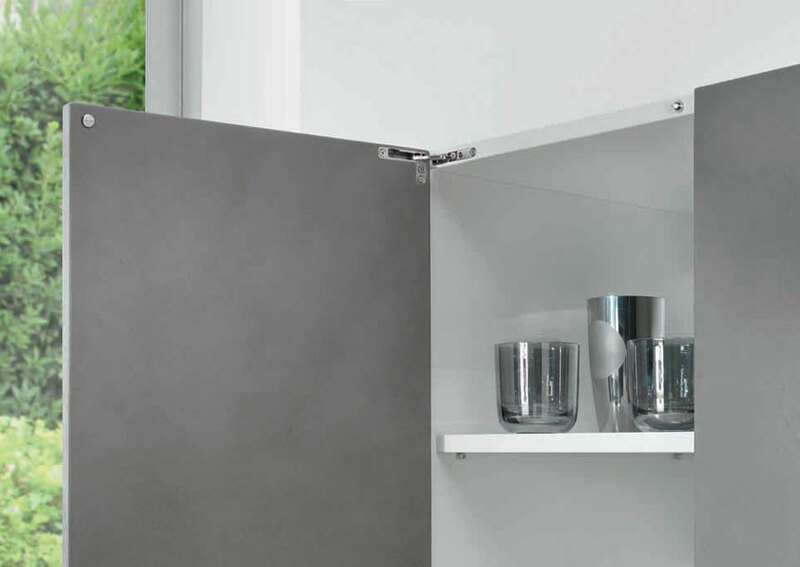 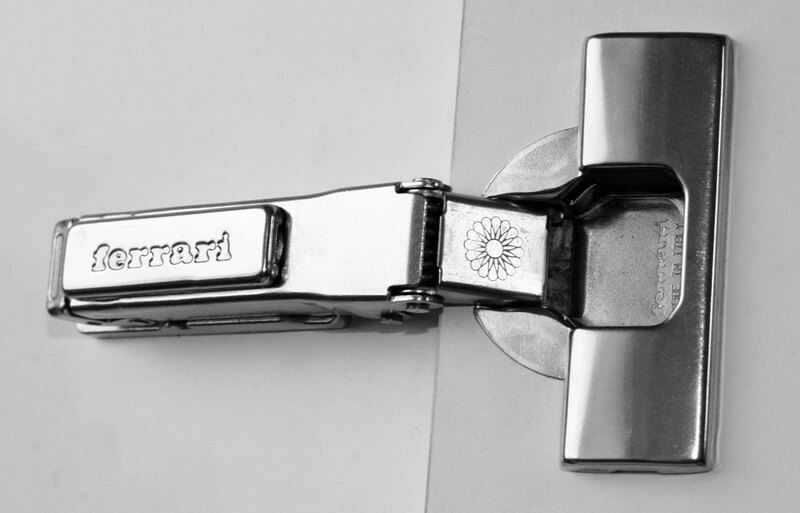 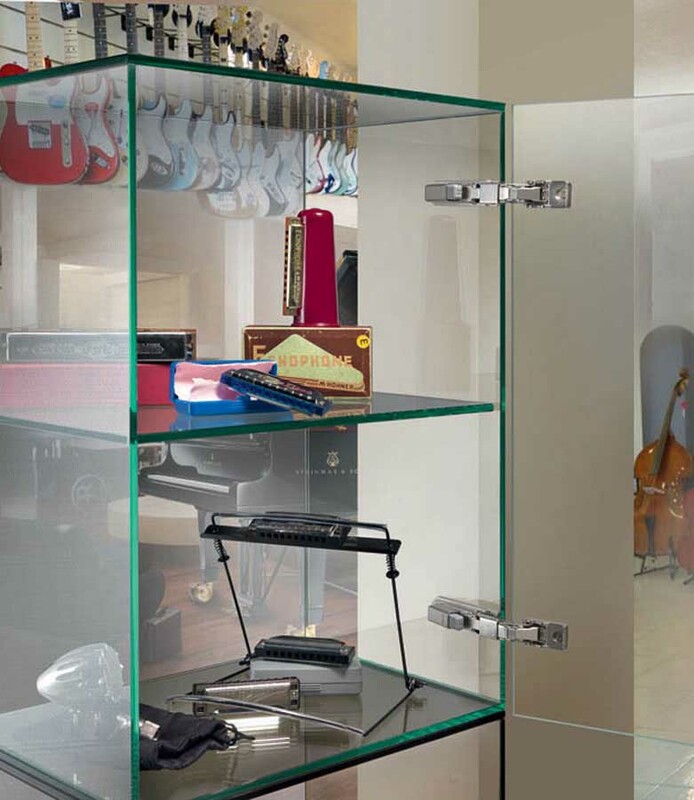 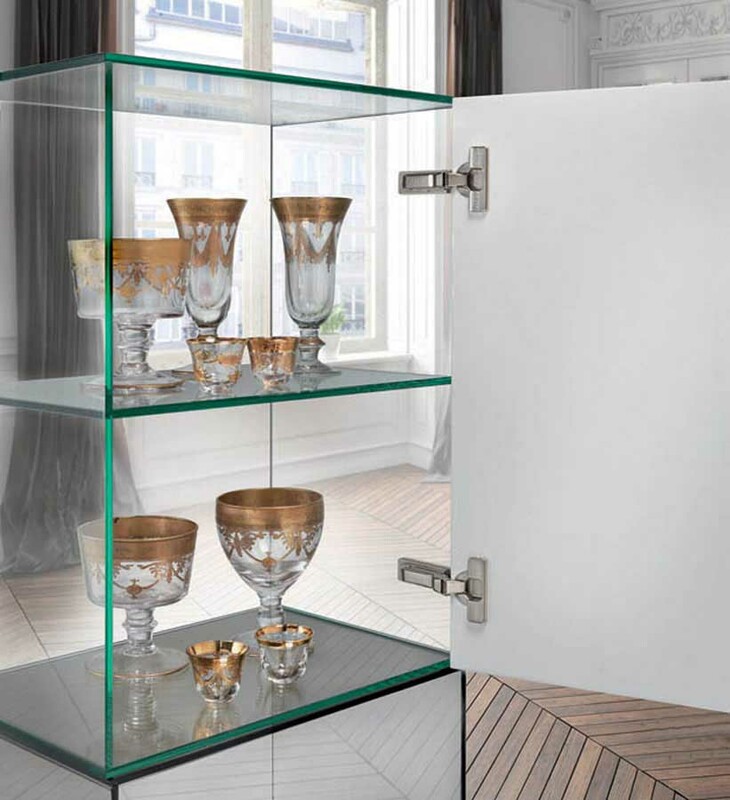 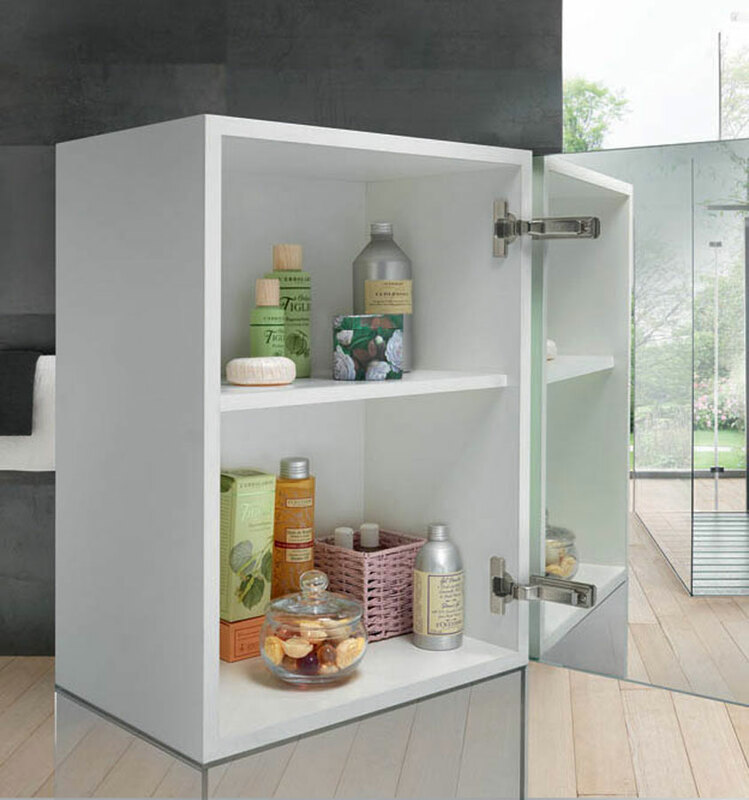 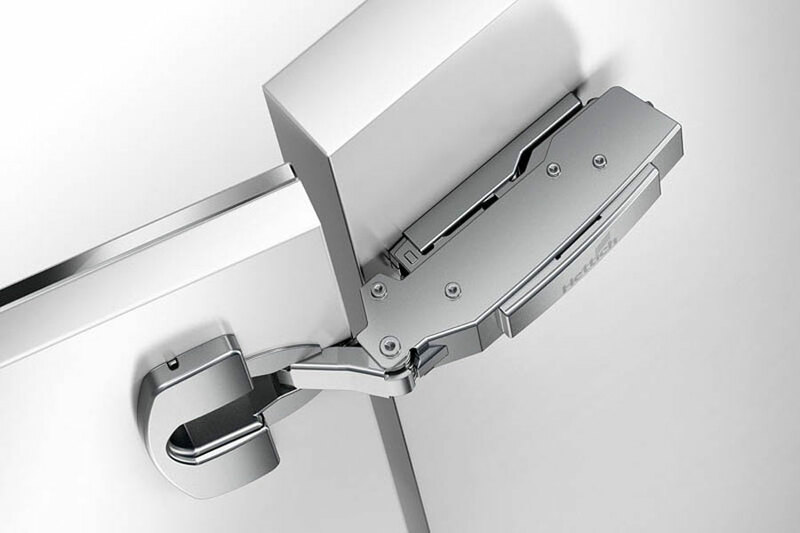 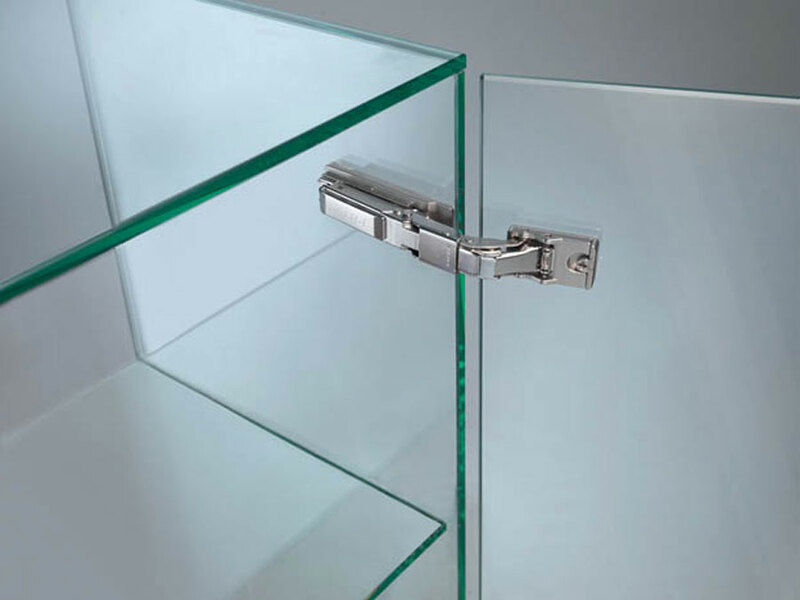 Vetro also includes the accessories for glass doors, such as the new covers for hinge cups, which are square in shape. 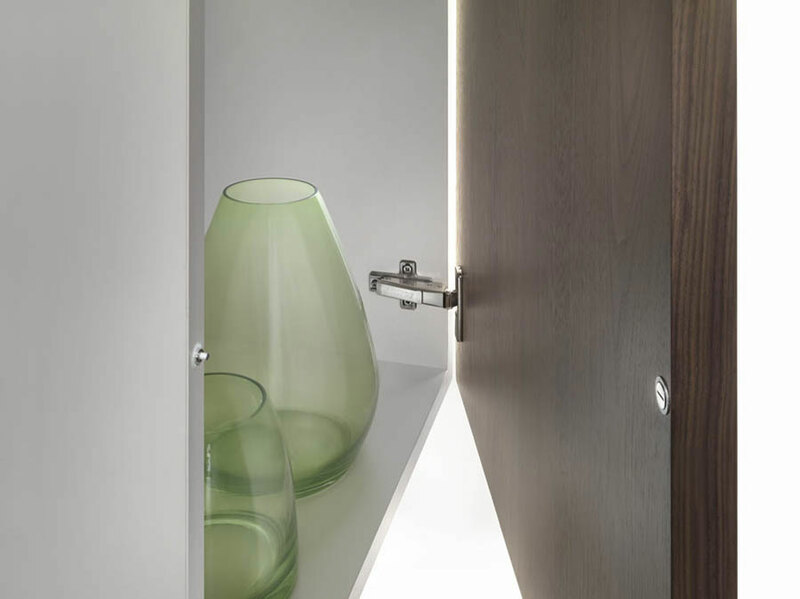 They can be used with hinges for glass doors and are available in a range of colours: black, glossy black, white, satin or bright gold, bright chrome and silver. 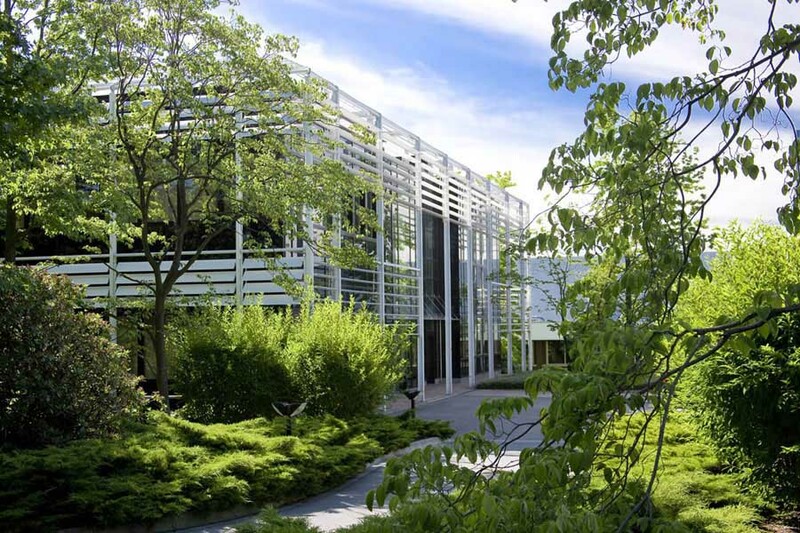 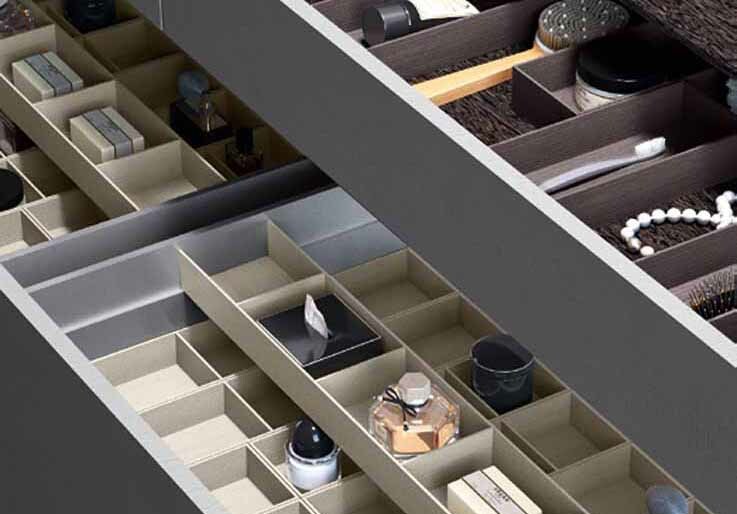 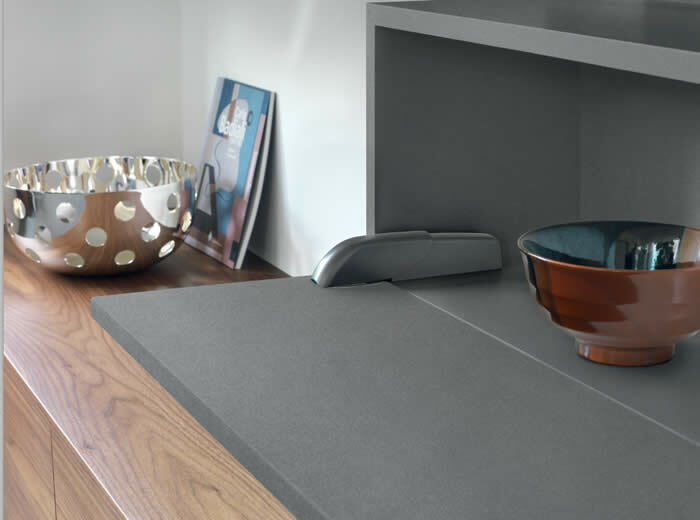 Thanks to its several products and their different combinations, the range Vetro allows manufacturers to reach a higher level of customization and allows furniture an added aesthetic value.